350 litre X-Tank, ideal for 1 operator. Our 350ltr X-Tank is ideal sized system to keep one operator working a full shift. The majority of users select these with just 1 pump and controller, but we do have the option of making this a 2 man system. For this 350ltr X-Tank you would need a vehicle with a payload of at least 550kg. Our professional installation service takes around 5-6 hours to complete on these cold water systems, we require a full 2 days for a hot water install. 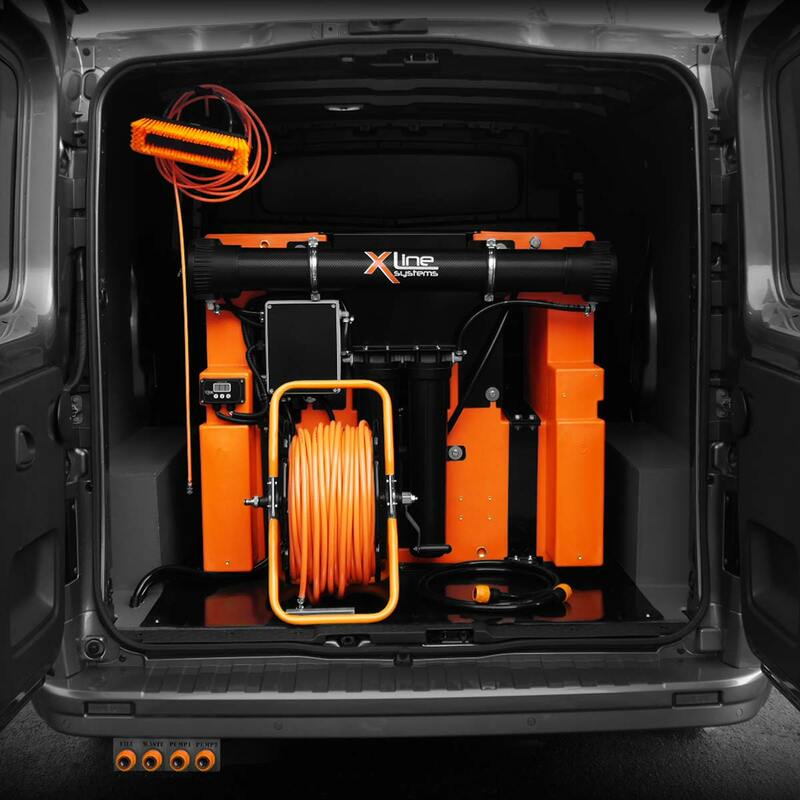 When ordering an X-Tank system you have the option of having the pump controllers mounted on the side or front of the tank, and depending on the vehicle you may have some freedom of where the system can be mounted (forward against the bulkhead, or back towards the rear doors). Specifically designed to house all the electrical & filtration components within the tank itself.